Today I came across a brief post on the OTN Forum for JDeveloper and ADF (http://forums.oracle.com/forums/thread.jspa?threadID=923587&tstart=0). 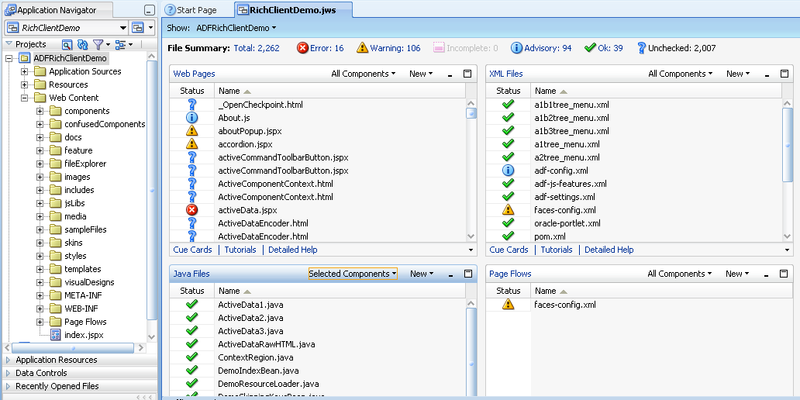 The latest demo application (11.1.1.1.0) for ADF 11g Faces RC can be downloaded from http://download.oracle.com/otn/java/jdeveloper/111/extensions/adf-richclient-demo.war. 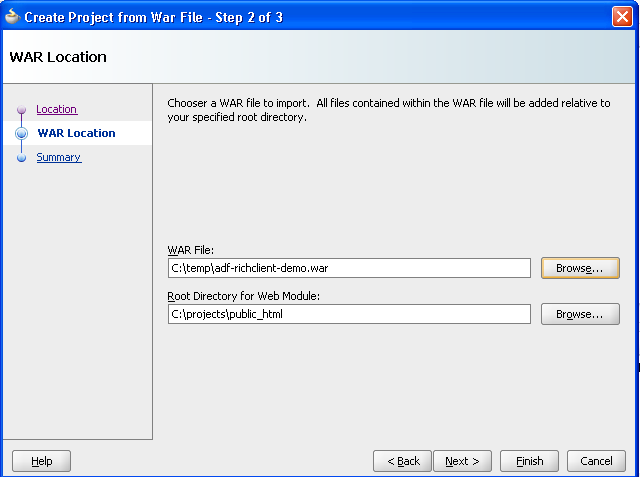 It comes as a WAR file that can be deployed on WebLogic 11g. Then inspect the source code to see how the functionality found in the demo was implemented. Thanks for your interesting observation. I would not say the Java community is lagging so far behind. 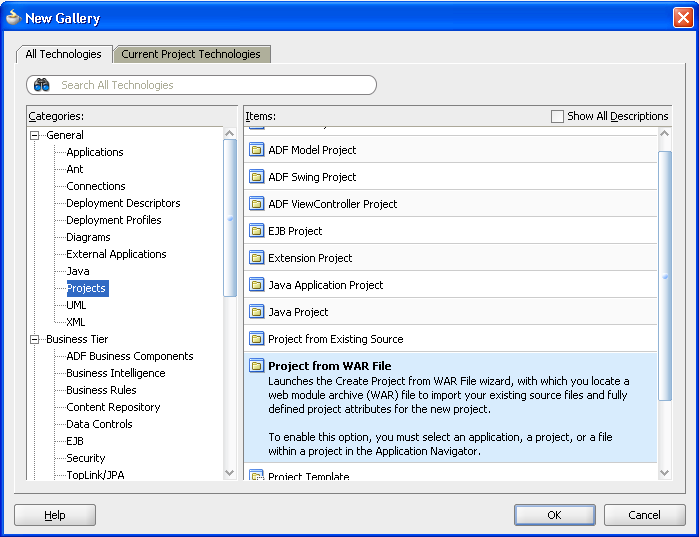 There have been (niche) Java products doing the kind of things you see in Flex/Flash and Silverlight for much longer than at least Silverlight has been around. The Java Platform as a whole does not move extremely rapidly – as it is so broad (from JDBC and EJB to JSF and REST) that to keep it consistent, backwards compatible, in line with standards and supported by the community. You have a point there, but of course there are some advantages to having a platform that is open, community driven and backed by many vendors. 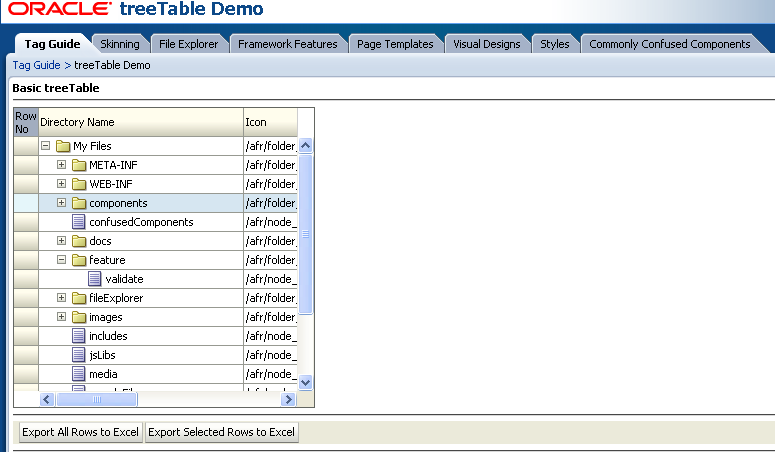 What is interesting for me at least with the ADF Rich Faces is not just the client side components. You are definitely right that anything those components do could have been done using other RIA technologies in the past. What is most interesting is that with ADF I have an end-to-end integrated multi-tier stack that allows me to create rich applications in a consistent, largely declarative and definitely rapid way, all the way from my business service to the client. With one tool and by and large a single set of skills, with a broad component set that covers most of my data presentation and interaction/manipulation needs, I am much better positioned to build the “enterprise” style applications my customers ask for. 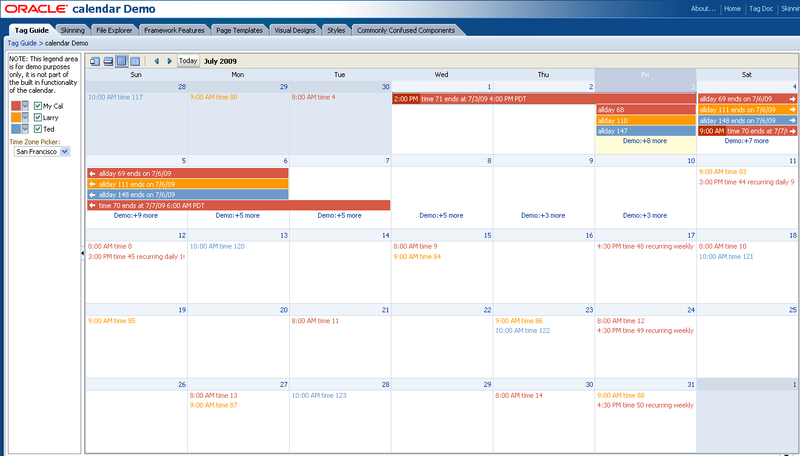 Not so much oriented at internet deployment, usually extranet or intranet, back office style applications. One thing I don’t understand is that we seem to be pounding the same thing over and over again. I looked at the examples and they are plain vanilla except that they have JSF backing now. I don’t see any innovation. When I look at Flex and Silverlight, I believe they are a step in the right direction – try to make the web as rich as possible. Whether they are the right technology is not the question. Why is it that the Java community lagging so far behind? May be the whole JSR thing is a case in point that too open processes don’t acheive much as each geek on the committee has their agenda.